As many of you know, Immigration Reform is a hot issue right now and one that is very important to us. 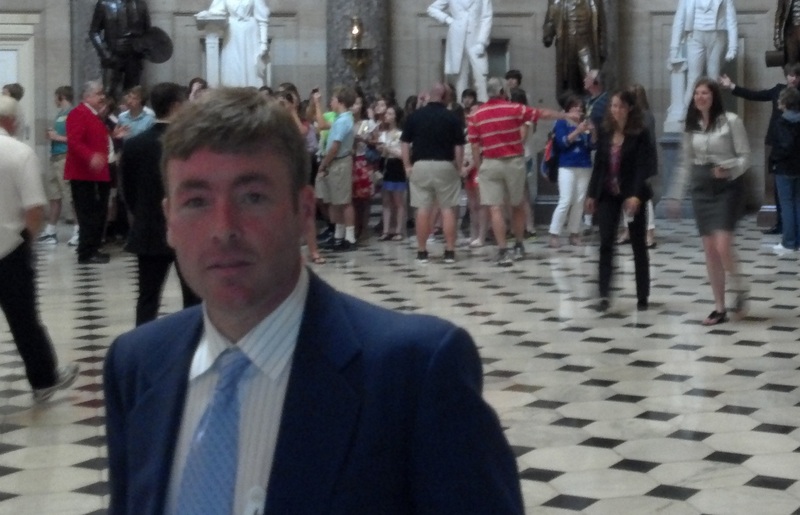 Over the past year, Greg, CAEP’s Managing Partner, and Ben, Communicating for Agriculture’s Vice President of Government Relations have been meeting with both Democrat and Republican members of the House and Senate to share the importance of the J-1 trainee and Intern programs to American agriculture. After reading the original Senate bill, we were very concerned that the J-1 program could be negatively impacted if the bill were to pass because the J-1 programs were being categorized as strictly “work” programs, which is very different from the cultural exchange programs that they truly are. Ben has been working closely with Senator Ron Johnson’s office to insure that the J-1 programs are correctly categorized in the bill. Ben traveled to Wisconsin a couple weeks ago to explain how the programs benefit international trainees and interns as well as the businesses that host these worldwide participants. Cindy Reynolds, from Reynolds’ Livestock, and Charles Schroeder, from Schroeder’s Flowers, have both been CAEP hosts for more than twenty years and joined Ben at meetings with the Senator’s staff in Wisconsin to highlight the impact that J-1 programs have. “Do the trainees learn something from their internship at our farm? Sure, but we learn just as much from them. These are truly training and exchange programs; exchange of ideas, exchange of culture, and exchange of values,” explained Cindy in a meeting in Plain, WI. Our hosts helped us highlight the importance of the J-1 programs, but also the differences between a J-1 program and work program. Senator Johnson co-sponsored an amendment to the immigration reform bill which was included and passed as part of the Corker-Hoeven amendment. To our relief, the amendment corrected all three concerns that we addressed in our meetings in Wisconsin. 1. The amendment eliminated the definition of J-1 participants as “workers.” 2. The amendment removed the definition of sponsors, such as CAEP, as “foreign labor contractors.” 3. Eliminated the language which forbade sponsors to collect fees, which would have drastically altered the J-1 programs and service, possibly into non-existence. The amendment was passed by the Senate and is now in the House. While there is still a long ways to go, we are very happy with the changes that the amendment addresses and are grateful for our hosts who have helped us with our efforts to insure that the J-1 training and Intern programs continue.